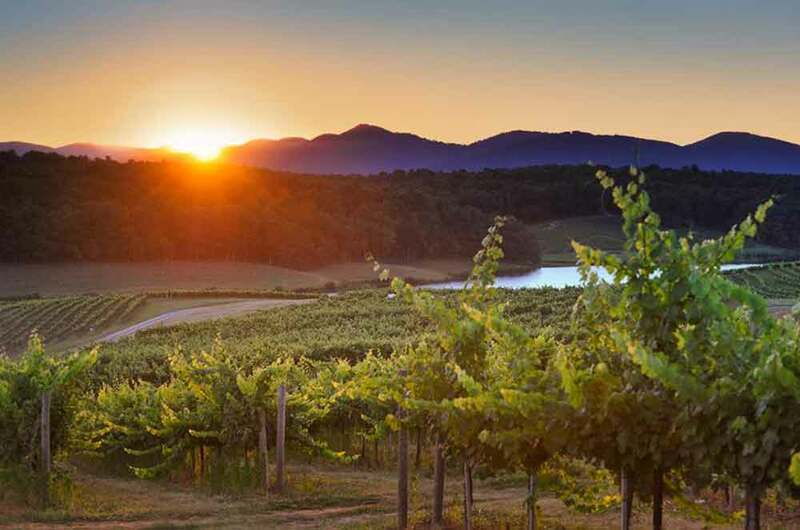 Whether you enjoy the full-bodied fruitiness of a Cabernet Sauvignon, or the crispness of a Sauvignon Blanc, the wineries dotting the landscape of the Blue Ridge Mountains offer something for all palettes. If you’re looking for NC wineries to explore then here are some of our recommendations. This Asheville winery is located in the heart of Biltmore estate. They offer tours of the facility including a complimentary tasting of their handcrafted wines. If you prefer sparkling wine, then you can upgrade for a small fee to the Biltmore Bubbles tasting. Find your favorite flavor and buy a bottle of case to take home. Located on 32 beautiful acres of rolling hills in Morganton, NC, is the Silver Fork Vineyard and Winery. Here you can enjoy a glass of your favorite wine while looking out at the breathtaking view of the southern mountains. Come hungry as they have the Farm to Fork Eatery on site, and the meals they serve pair well with Silver Fork wines. Choose from two locations for this Blue Ridge Mountain winery. One location is in Hendersonville and other is in the nearby town of Flat Rock. There are 14 varieties of grapes grown on this working family farm, at an elevation ranging from 2,300 to 3,000 feet. Located in the foothills is an NC winery that gets its name from nearby Lake James. They offer a variety of handcrafted wines – all produced using local fruits. This is one of the stops along the Catawba Valley Wine Trail, which connects five wineries throughout the foothills in Burke County.